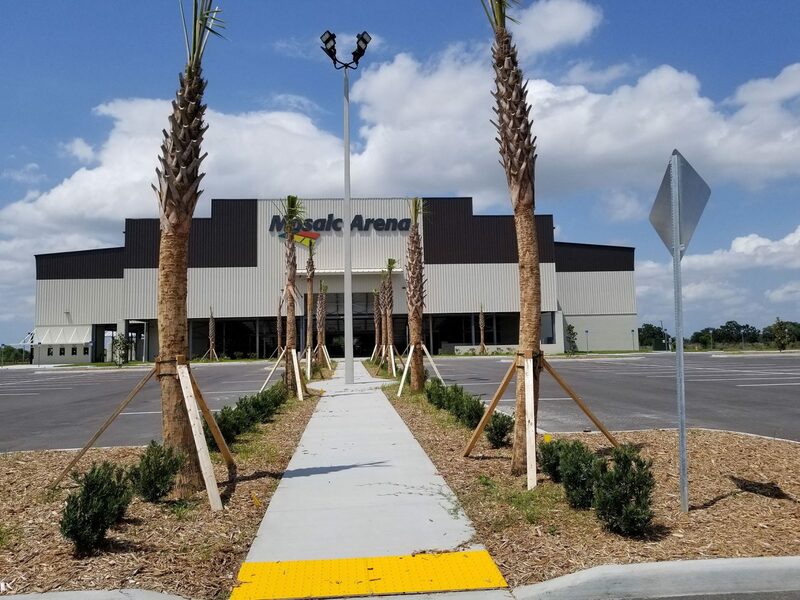 GCM Contracting Solutions served as the General Contractor and completed construction of the 7,796-seat Mosaic Arena in Arcadia, home of the All-Florida Championship Rodeo. 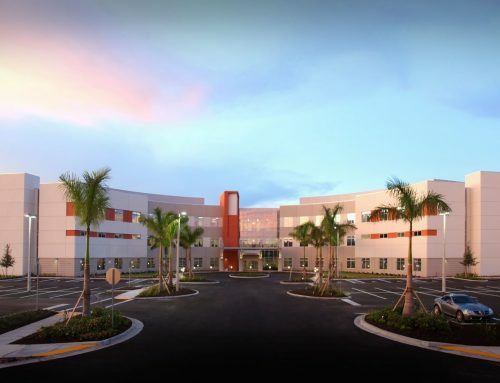 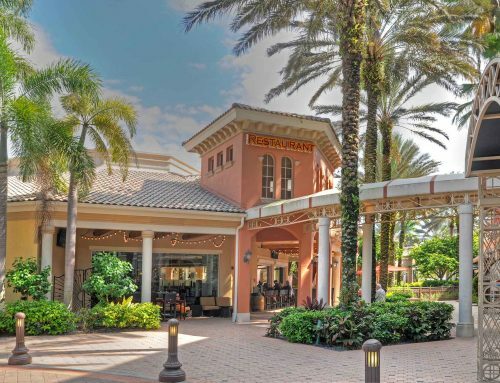 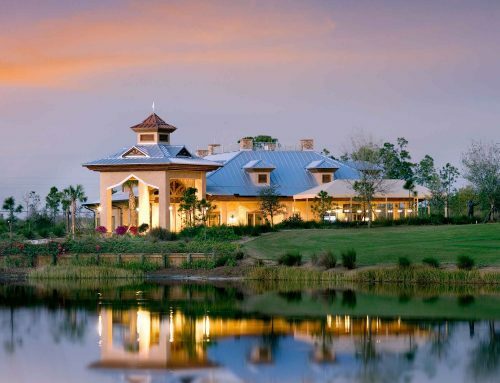 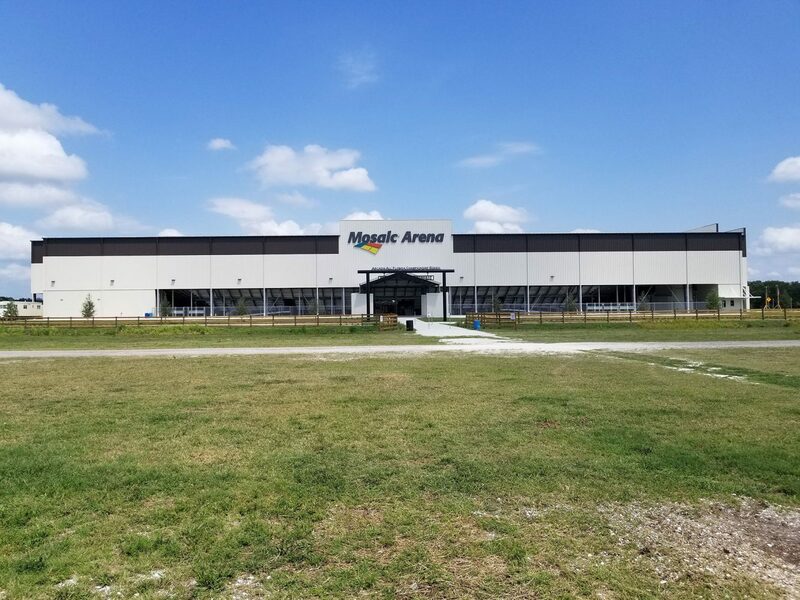 The $9 million, 110,000-square-foot arena is a monument to Old Florida and a testament to resiliency for southern Florida’s inland counties. 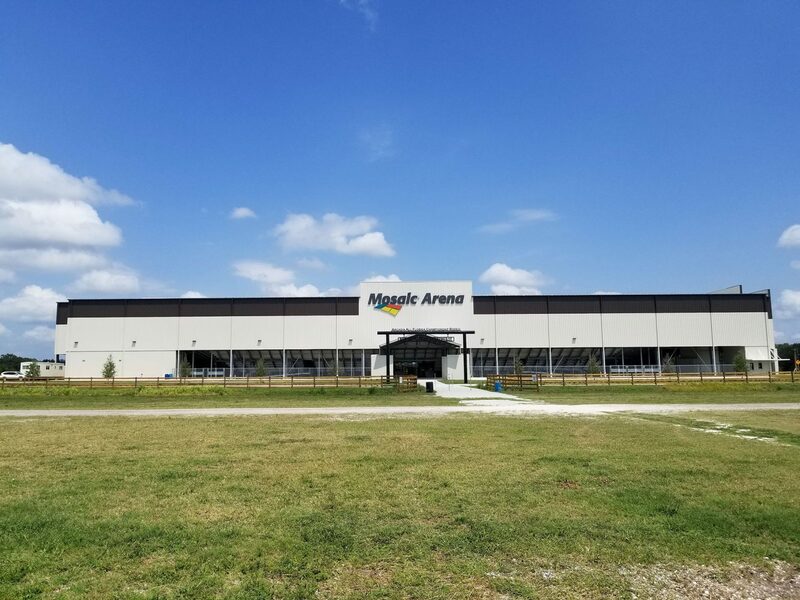 Mosaic Arena is a Butler building, containing a fully covered arena floor, bucking and roping chutes, expanded concession areas and ample restrooms. 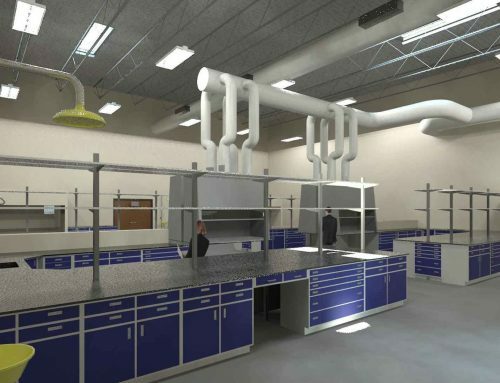 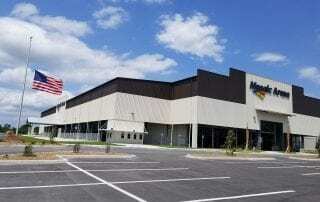 The facility will also be home to the new Florida Cowboy Museum. 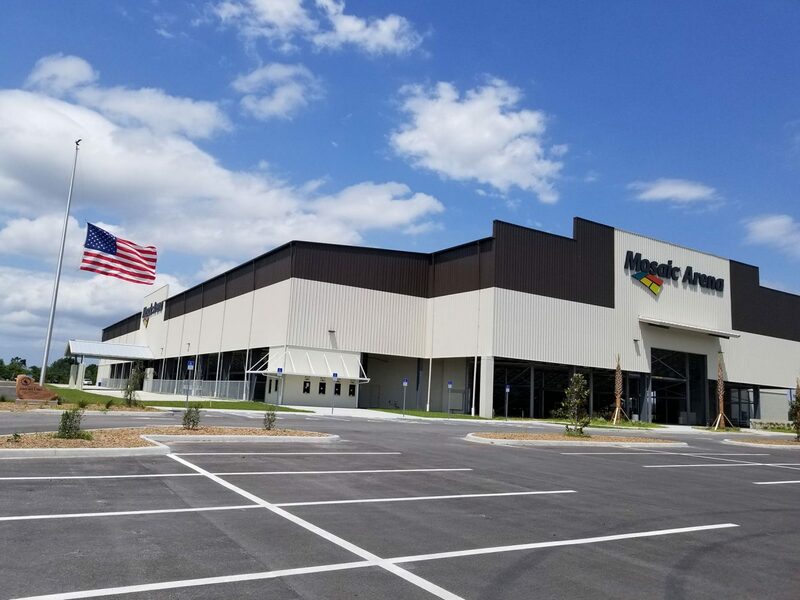 Unique design eliminates interior support beams that often block spectators’ views, 26 giant eight-blade ceiling fans continuously circulate air and a 270-panel advanced skylight system minimizes shadows and lighting costs. 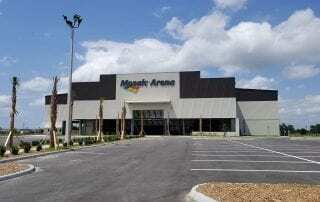 Wide, padded seats and bleacher-style seating is available. 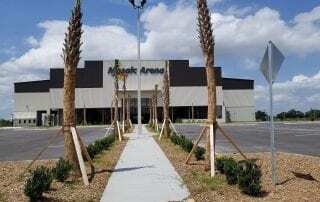 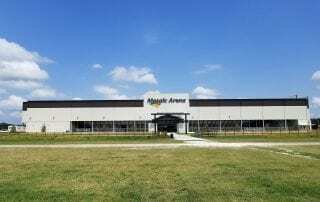 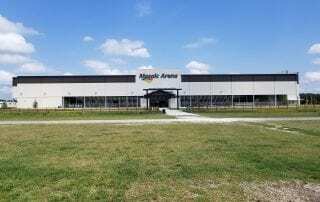 Mosaic Arena replaces Arcadia’s 59-year-old rodeo arena, which was battered during Hurricane Charley and mired in disrepair during a subsequent economic downturn. 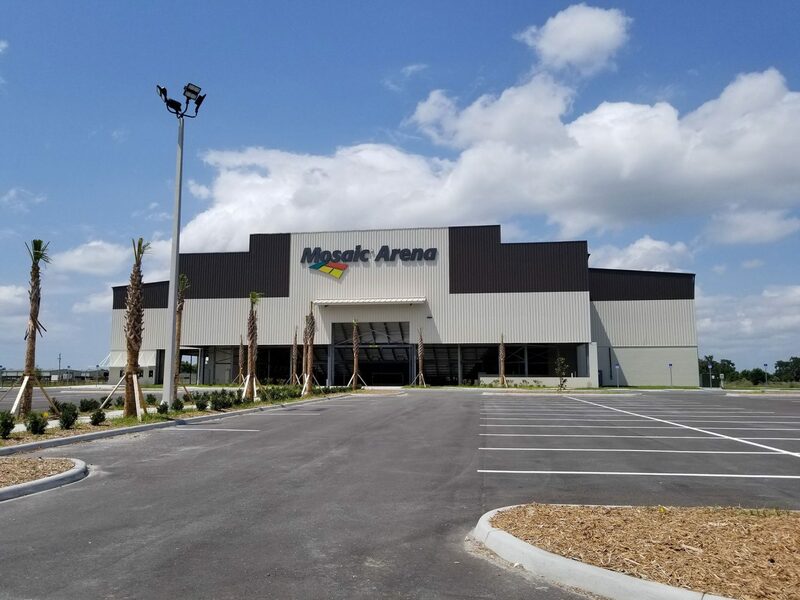 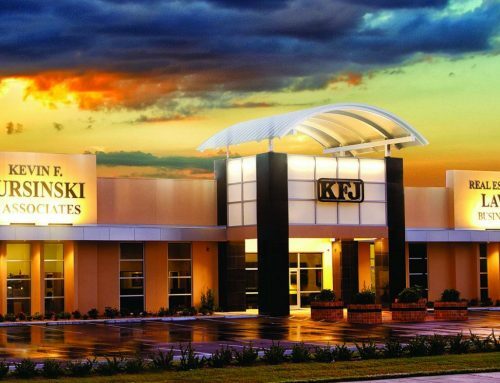 Major donors, including The Mosaic Company Foundation and Ben Hill Griffin Inc., joined forces with ranchers, construction companies, local business leaders and townspeople to raise money for the new arena.